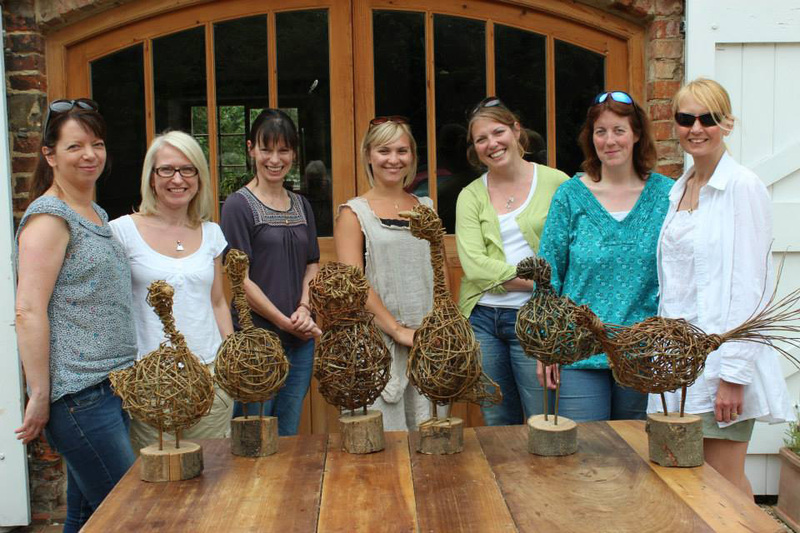 Jessica teaches basketry, sculpture and contemporary willow workshops in community and educational settings. 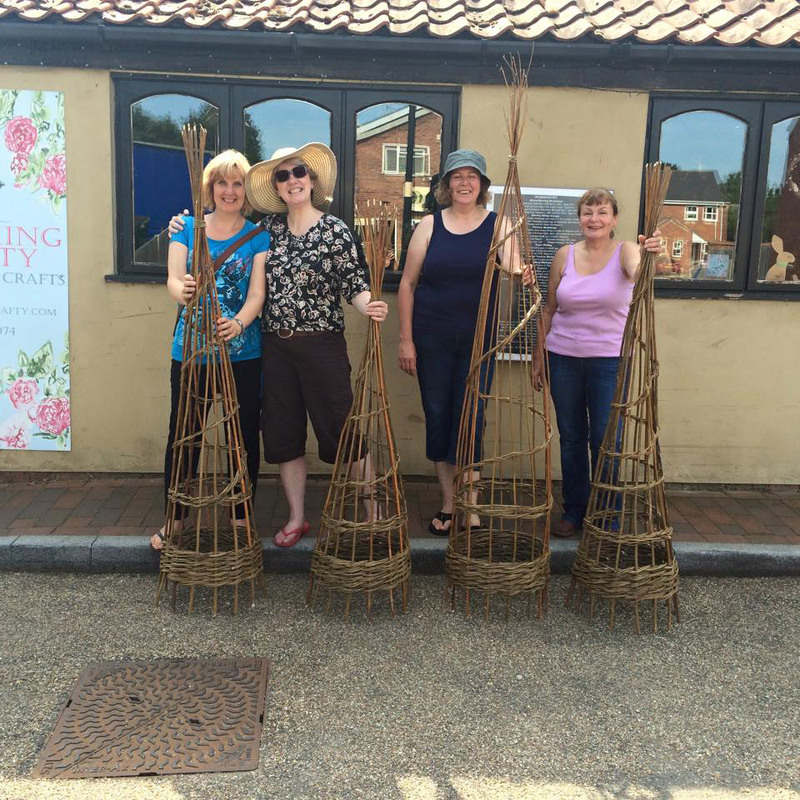 Learn weaving techniques for this amazing traditional craft. Please enquire for dates and locations. 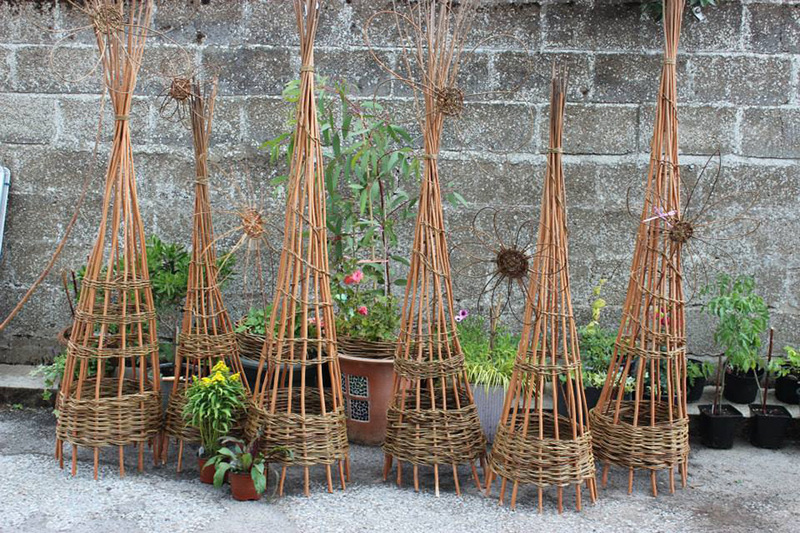 Weave a gorgeous willow plant support, perfect for sweat peas or climbers. 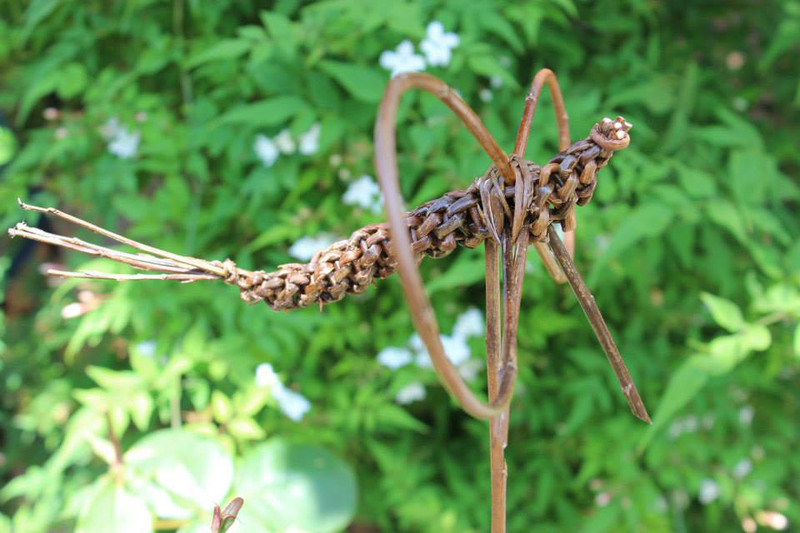 You have a choice to design and make any bird out of willow! 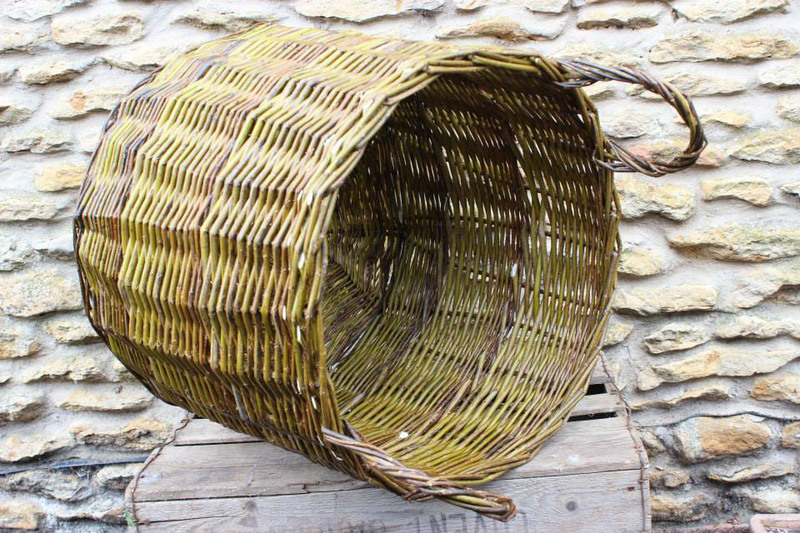 Make a flat bottomed round basket, appropriate for logs, waste paper bins or shopping! 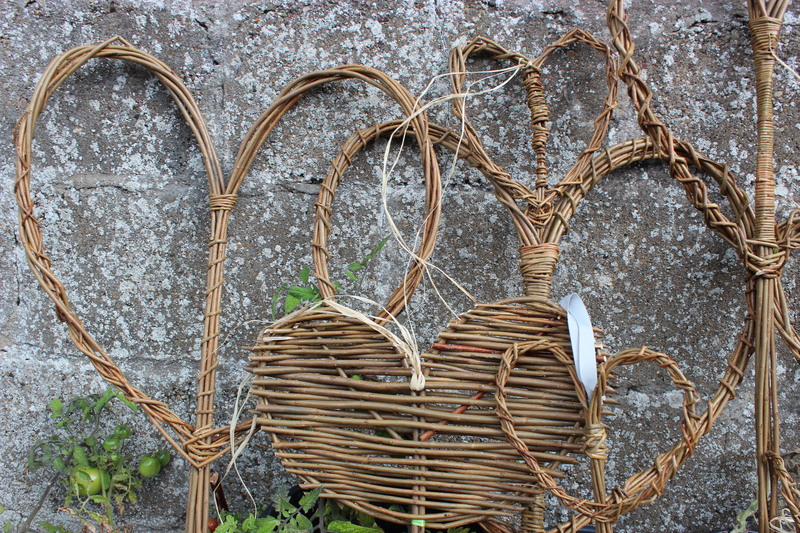 Craft multiple heart shaped items to adorn your house and garden with. 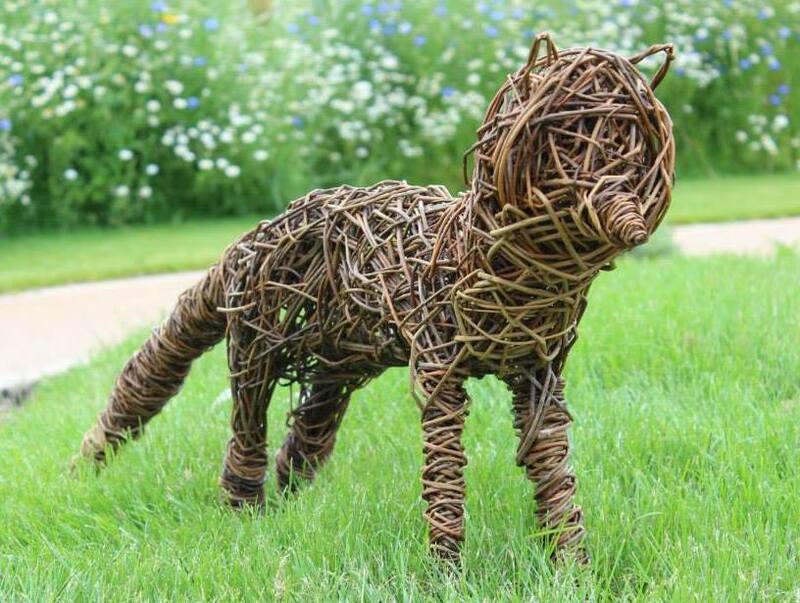 You have a choice to design and make any animal out of willow! 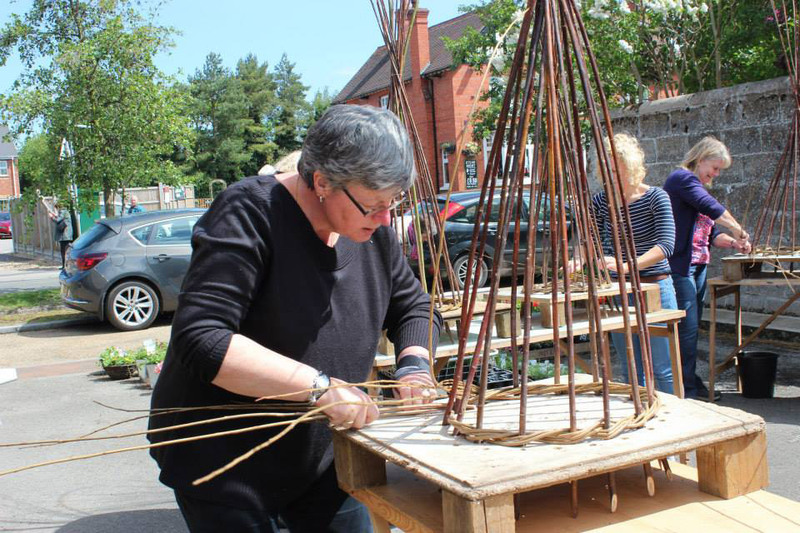 A two day workshop to give you the skills to make a large onion-shaped pod for the garden. The group will make a 6 x 7ft pod over the two days. 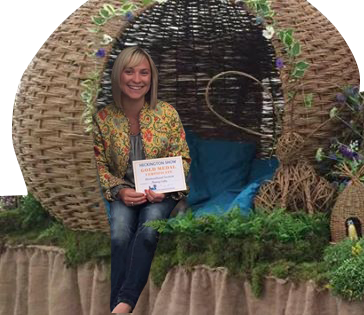 Kits can be purchased afterwards to make your very own pod at home for £350.00.